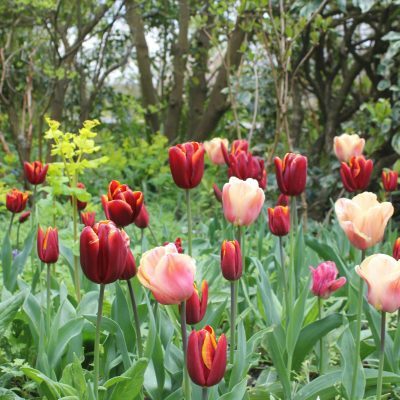 Jo Arnell tells us how to make a productive garden beautiful with deliciously attractive plants. There are a couple of boring old phrases that hover, Jiminy Cricket-like, in my ear when I’m plotting out my vegetable garden: ‘cut your coat according to your cloth’ is one, and, ‘don’t bite off more than you can chew’ is the other. By the beginning of every June, when I’m up to my neck and nearly choking, I realise that I should have paid attention. There is sense in not overreaching, in pacing yourself and generally living within your means, but the problem is that I can never find much joy in that approach. To me, a garden, especially a productive one, should be gloriously immersive. 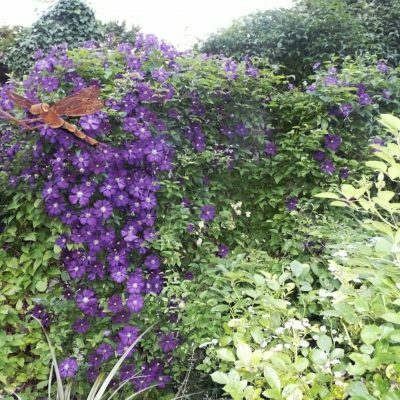 If your outdoor space (or even your window box) is a gorgeous place, brimming over with beauty and promise, you’ll feel that quiet surge of joy that will make the (sometimes overwhelming) hard work and effort worthwhile. 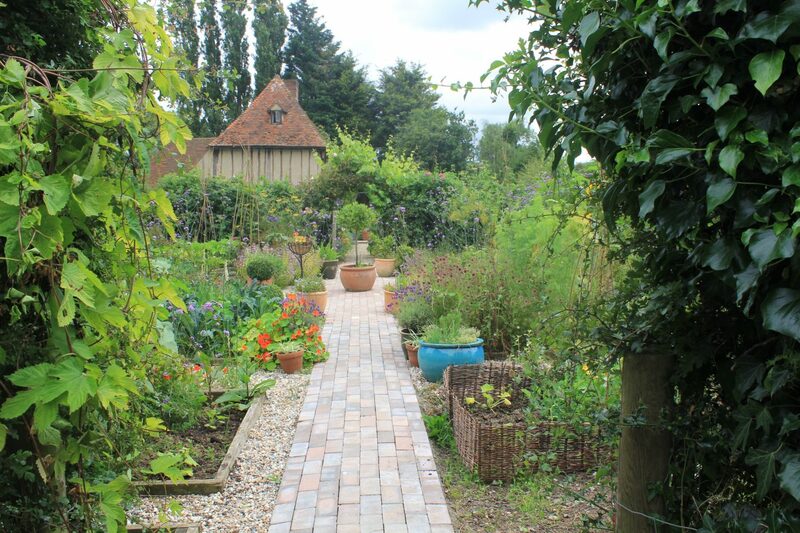 Veg patch or flower border? 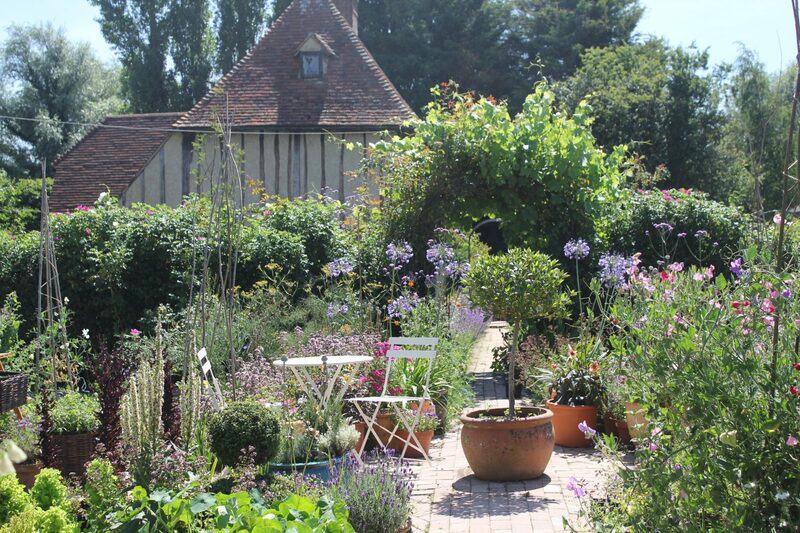 A cottage garden traditionally combined vegetables, herbs and flowers. Somewhere along the lines they were separated and the vegetables were consigned to the boring back of beyond, hidden at the bottom of gardens, or done away with altogether. Where vegetables are still in evidence, they are often a bit lacklustre, sitting in dutiful rows, catching the sun, but not many admiring glances. Don’t get me wrong, I do find a well-organised vegetable plot to be a thing of beauty in itself and appreciate that growing in rows makes it easy to hoe, feed and maintain the crops, but somehow I can’t help but feel it all needs jollying up a bit. 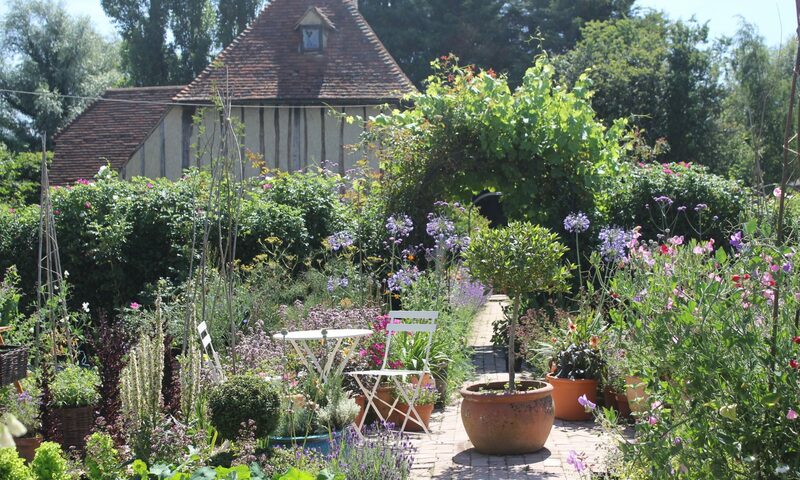 One of the ways to do this is to grow flowers among the vegetables, to have less of a workaday veg patch and more of an alluring edible garden. 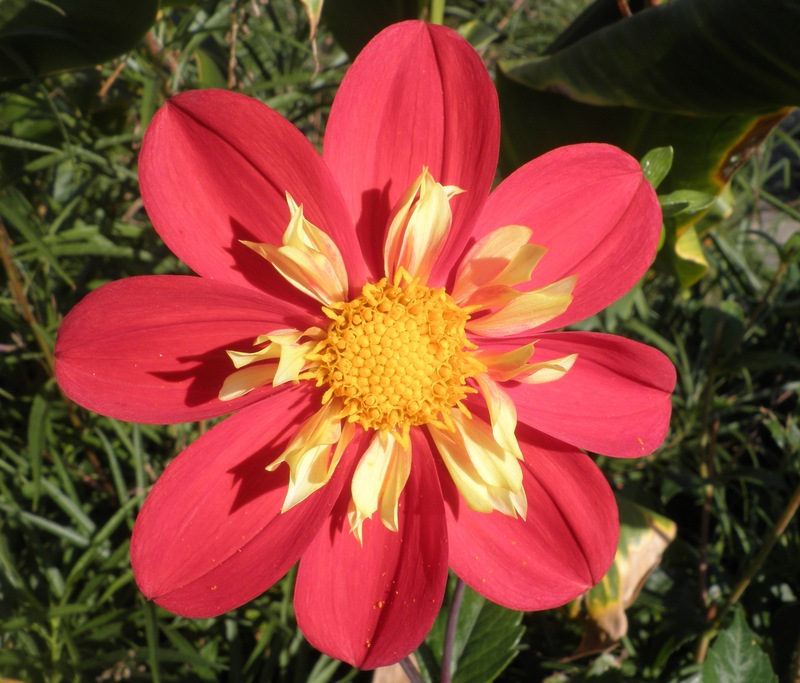 Even if you do have a dedicated vegetable garden, you can grow some flowers among them in the form of companion plants – some flowers are edible too and will have a dual role as pollinators, attracting in beneficial insects. They are beautifiers and will act as a lure, not just for the insects but for you and your visitor, making you want to visit the plot. Ideally you want crops that have a fairly long period of interest, to avoid them looking depleted too quickly. 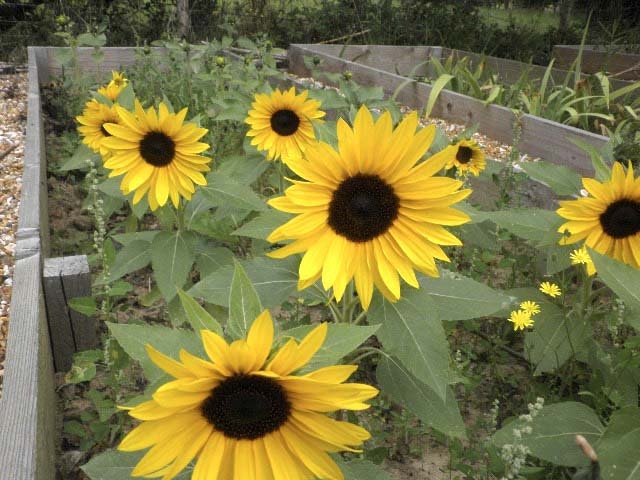 They will need a sunny spot with good soil and not too much competition from other greedy plants. 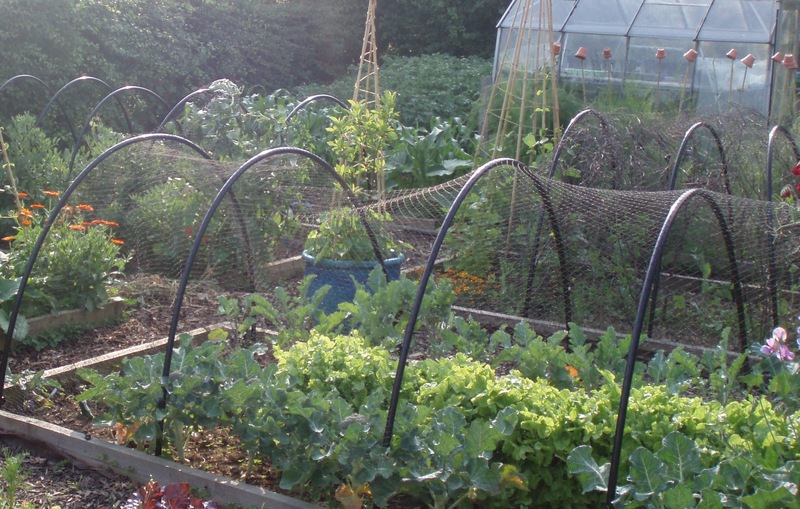 Grown this way veg are less prone to disease and attack by pests, will be more productive and benefit the wider environment. It is the unnatural monocultures (picture the dust bowl prairies, or endless acres of just one crop) that are unhealthy and prone to huge plagues of pests and widespread disease, that become reliant on ever-increasing amounts of chemical fertilisers and ecologically disastrous pesticides. There are lots of ways of having an edible garden and you don’t have to aim for self sufficiency – just a small container full of homegrown tomatoes might be enough this year, but while you’re growing those, why not aim for a bit of salad to go with them? One cucumber plant will keep you in cucumbers for the season, while salad leaves pop up and are ready to harvest in just a few short weeks. The plant breeders and garden centres offer dwarf, ‘patio’ versions of many vegetables and these will happily provide mini crops in smaller spaces. Some, like stubby Chantenay carrots are actually better off in containers, where they will grow straight and true, away from the pesky carrot fly that lurks at ground level, its larvae waiting to bore holes into tasty carrot roots. Herbs are such good value plants. Pretty to look at, fragrant flavour enhancers in cooking and drinks. They are especially useful to grow in containers and most will sit happily – and more or less permanently – on the window sill, positively thriving in a dry situation and even enjoying regular haircuts. You don’t have to wear a hair shirt to grow vegetables (other gardening outfits are available), it really can be a pleasurable experience. 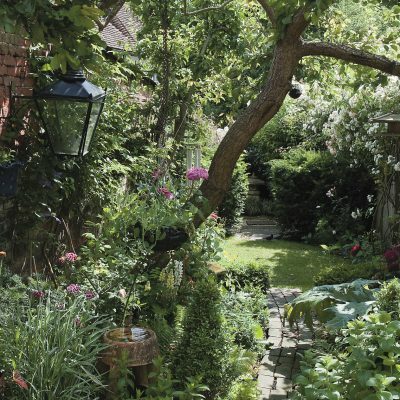 If your plot looks inviting, you might even be more inclined to go out there. Let’s pacify our inner Jiminy and hijack William Morris’s wisdom about beauty and usefulness (‘Have nothing in your house that you do not know to be useful, or believe to be beautiful’) and enjoy the process of growing, harvesting and eating something fabulous. 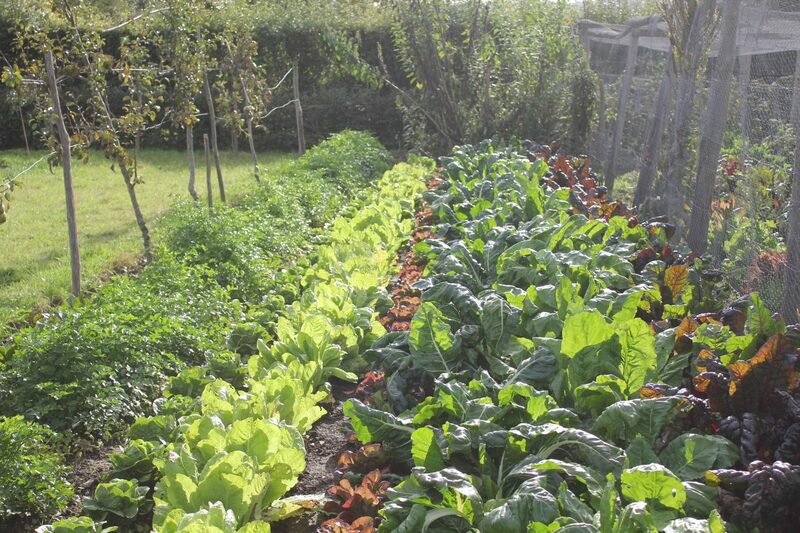 There is still plenty of time to grow a plot full of beautiful vegetables this year. 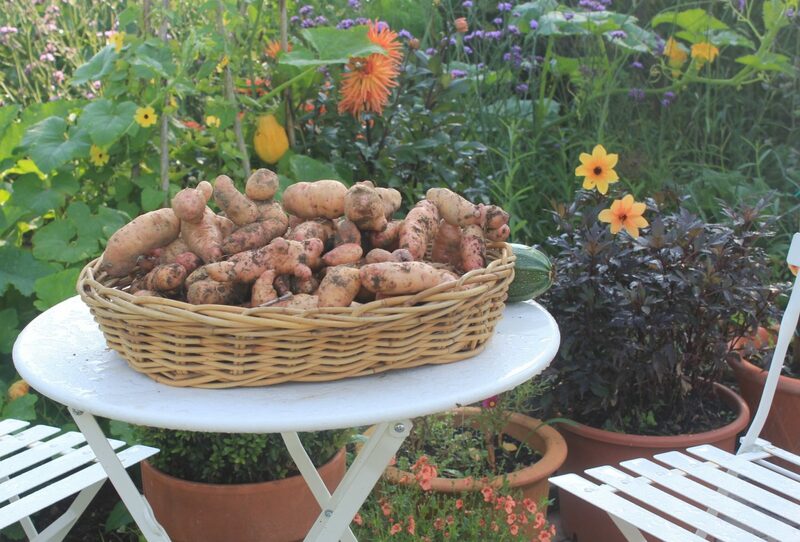 Here are some of my favourites, chosen for flavour and ease of growing as much as their looks. Artichoke ‘Violetta di Chioggia’ – almost too decorative to eat, artichokes can happily be grown at the back of the flower border. This one has stunning purple buds. Cauliflower ‘Romanesco’ – technically this is a broccoli, but let’s not split curds. Despite the impressive looks it’s much easier to grow than cauliflower and tastes good too, elegantly spiralling from plot to plate. 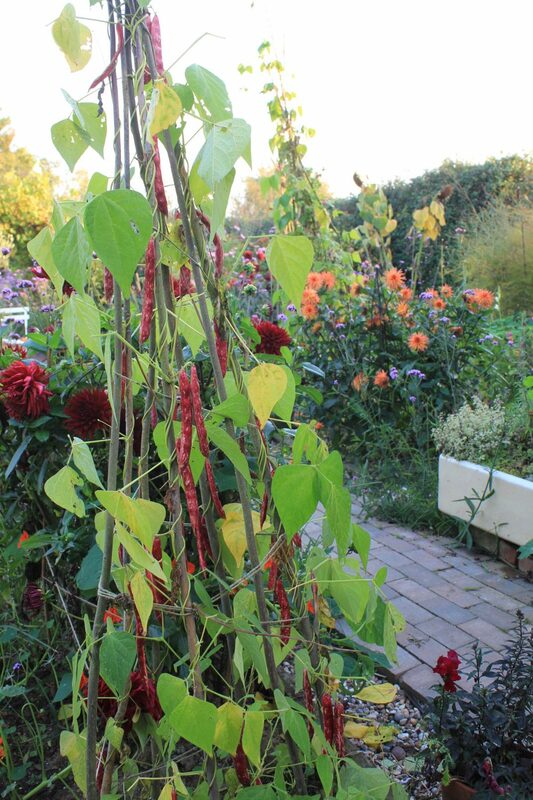 Borlotti bean – climbing or dwarf – these truly magic beans can be eaten young as whole pods, or left to mature on the plant to harvest as actual beans. Turk’s Turban – this squash will squat handsomely amid sprawling tendrils; leave to ripen like a gleaming jewel in the early autumn garden. Pumpkins and squash also store really well, making them a great late season crop. Lettuce ‘Lollo Rosso’ – this is a loose leaved variety with frilly dark red leaves. Loose leaved lettuces are slower to bolt (go to seed) than hearting types. Mix them in with a green loose leaf type for a colourful salad bowl.